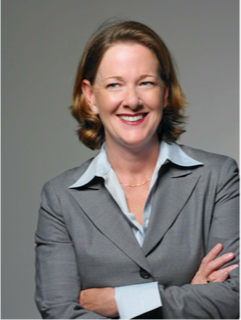 Alison Redford QC now serves as a World Bank Advisor on Gas Sector Reform in Pakistan and also as an advisor in other jurisdictions, as they develop new approaches to upstream regulation and community engagement. Alison served as Premier of Alberta from 2011 to 2014 and prior to that as Minister of Justice and Attorney General. Her government introduced a new, integrated regulatory structure to Alberta and implemented the Alberta Energy Regulator, a single regulator that directly included environmental regulation, resource conservation, economic development and first nations consultation in all energy upstream projects in Alberta. The importance of the new Alberta regulator to investor confidence, competitiveness and a managed approach to environmental sustainability and climate change signaled a change to how energy regulation on major projects is managed in Alberta and set a new global standard. Alberta’s leading role in Canada’s energy economy has always been key to contributing to a long term vision for energy in Canada. In that capacity she has been deeply involved in dialogue around energy, infrastructure and the environment in the United States and across Canada and was instrumental in developing the Canadian Energy Strategy, which started to address a true Canadian agenda on climate change, renewable energy, a post carbon economy, innovation, energy literacy as well an alternative and renewable energy economy. Alison is a strong proponent for integrated policy planning and stakeholder development to ensure long term economic success in energy producing countries. She is an active voice on institutional and public sector reform based on inclusive policy development in the areas of climate change, renewable energy strategies and trade development. She has worked on bilateral and multilateral projects related to constitutional development, telecommunications and energy sector regulation, judicial training, local government infrastructure planning and community development. Her career has been primarily focused on institutional change and public sector reform and governance of regulatory institutions in post conflict situations, including South Africa, Afghanistan, Bosnia and Sub Saharan Africa on behalf of the United Nations, the Commonwealth and the European Union.